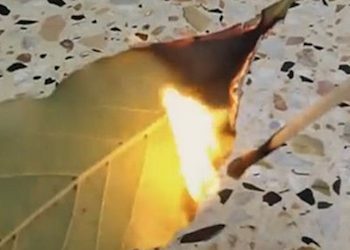 Burn Bay Leaves To Relieve Anxiety In 10 Minutes - Better Than Drugs! Anxiety disorders are the most common mental health illness facing the United States. 40 million U.S. adults are diagnosed with anxiety. That’s almost one fifth of the population. In order to combat this epidemic, many people have been turning towards anti-anxiety medication. However, even doctors admit that this is not a long-term solution as these medications come with a variety of side effects and health hazards. There are many natural remedies for anxiety that don’t come with harmful side effects. 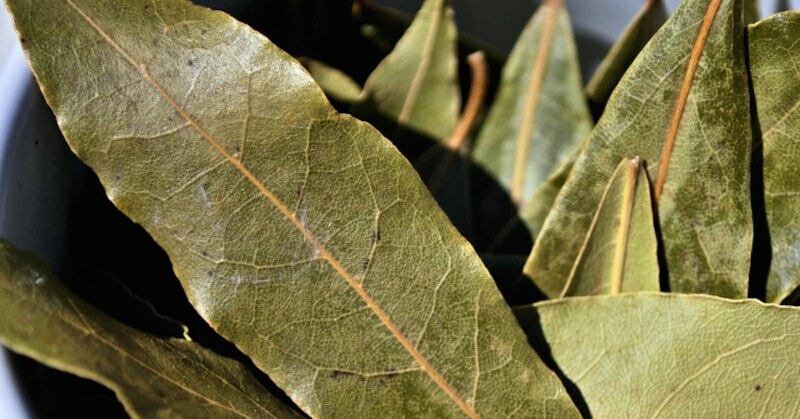 This article will focus on using bay leaves to relieve anxiety. Everybody has experienced anxiety at some point in their lives. Some experience it more than others, and every individual is affected by it differently. When someone has an anxiety disorder, it can cause them such extreme distress that it affects their ability to live a normal life. When people with anxiety disorders experience increased amount of distress and panic, it often culminates into an anxiety attack. Anxiety attacks are characterized by an overwhelming feeling of fear or terror, and many people reported feeling like they were going to experience a heart attack. Other symptoms of an anxiety attack include tingling or numbness in the fingers, chest pains, sweating, breathing difficulties and a racing heart. Anxiety attacks can be caused by social anxiety disorder, specific phobias, panic disorder or a general anxiety disorder. Social anxiety disorder is a phobia that is characterized by overwhelming self consciousness during common social situations. The anxiety generally stems from the worry of being judged by friends or peers, or behaving in a way that would cause embarrassment in front of others. Specific phobias are intense fears of specific objects, situations or certain animals. Common specific phobias include a fear of flying (or heights), a fear of dogs, a fear hospitals and many more. General anxiety disorder is the constant feeling of excessive worry and tension, even if there is not a lot to be worried about. Panic disorder is generally characterized by a feeling of intense terror that strikes without warning and usually has no specific cause. In an attempt to combat the crippling symptoms of anxiety, many people turn towards pharmaceutical medications to help calm themselves and cope with everyday life. However, these medications come with a variety of unpleasant and harmful side effects that can actually worsen a person’s anxiety symptoms rather than improve it (experts call these the “paradoxical” effects of anti-anxiety drugs). Aside from the fact that these drugs are seriously harmful and can actually worsen symptoms of anxiety, many of them are highly addictive too, meaning that if one would want to stop taking them they would have to experience withdrawal symptoms as well. The inefficiency and danger of these drugs highlight the need for natural remedies for anxiety. Bay leaves are aromatic leaves of the laurel tree that have been used throughout history for traditional, medicinal and culinary purposes. Recent research has shown that inhaling compounds found in bay leaves have soothing effects that are able to reduce symptoms of anxiety. Bay leaves’ soothing properties come from a naturally occurring compound found in it called linalool. One study found that rats who inhaled linalool during aromatherapy sessions showed increased social interaction, and decreased aggressive behavior. Now that you know how effective bay leaves are as a natural remedy, here is a way to naturally relieve anxiety at home using them. Start by heating up a piece of charcoal and placing it in a small fire-resistant bowl. Then burn five to ten bay leaves and place them in the bowl. Then leave the room for five to ten minutes (make sure the bowl of fire isn’t going to burn your house down) and return to the room after waiting. The room will be filled with the fragrance of burnt bay leaves and you should start to feel relief from anxiety after spending ten to fifteen minutes in the room. Let us know if this helped with your anxiety, in the comment section below.